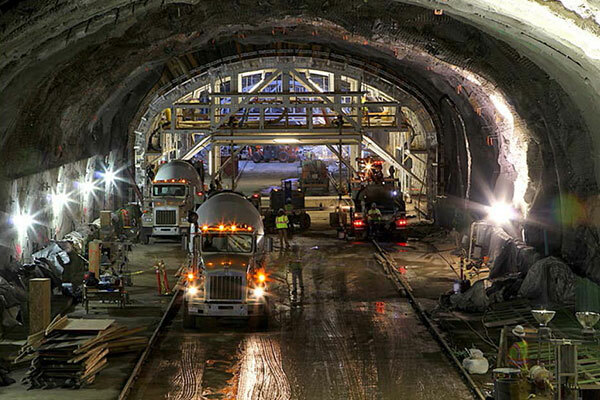 Kraemer led the CDOT Twin Tunnels Expansion CMGC, which included the eastbound and westbound tunnel widening projects, as the lead joint venture partner with Obayashi Corporation. Kraemer widened the eastbound bore to 53 feet and widened the highway for 3.5 miles of I-70 through Clear Creek County. Work included bridge replacement, cast-in-place retaining walls along Clear Creek, ITS upgrades, water quality improvements, and assistance through the final EA/FONSI process, which was conducted concurrent with advanced design to expedite the start of construction. Kraemer received a CCA/CDOT CMGC Project Management award for the successful completion of the eastbound tunnel widening project in 2013, which was completed $3.5 million under final contract budget and ahead of schedule. Kraemer completed the westbound tunnel ahead of schedule in December 2014. The westbound tunnel was 120 feet longer than the eastbound tunnel and included the excavation of an additional 40,000 cubic yards of rock adjacent to the tunnel. Remaining work completed after December 2014 included trailhead and county road restoration after the detour alignments were removed.